2017 has been an absolutely incredible year in gaming. A new phenomenon was born on PC with PlayerUnknown’s Battlegrounds. Nintendo released their next hybrid console which has taken off in a way that no one expected, with 3rd parties now clamouring to get ports on the console as fast as possible. Microsoft launched their mid gen console update the One X, and Sony boasted one of the strongest line-up of games released in a year for any console ever… seriously. So it’s not an easy year to start picking Game of the Year or the best game played this year. Unfortunately my wallet could only stretch so far, and with this post dropping before Christmas, I can’t comment on any potential candidates I might have gotten for Christmas. We’re breaking the post into 2 selections each as our Game of the Year and 2 selections each for our favourite game we’ve played this year due to us playing older games and back log games throughout the year. So without further adieu, here we go. 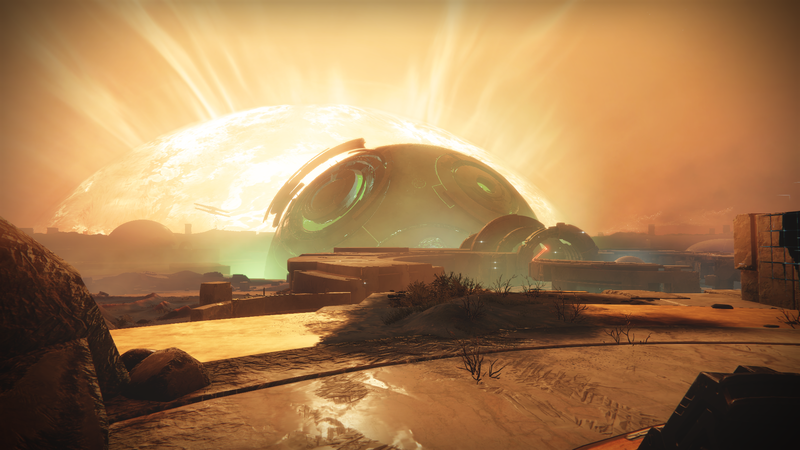 The Destiny franchise is the marmite of the gaming world it seems, people seem to love it or hate it. I love it, but I realise that it still has a lot of short comings and issues. I’ve talked about how in some cases Destiny 2 feels like a step backwards in some ways already. However, since its release on PC Destiny 2 has been a staple amongst my friends. Almost every night there has been a group of us online playing it. Making our way through Strikes, Nightfall’s, trying out the raid, teaming up in the Crucible and it has been a blast. Destiny has always had solid gameplay, the gunplay always felt great and I’m really glad that it still feels super fun on PC. I know that the game has slowed down a lot compared to the first and when I was playing on console I could feel that difference, but I actually think it’s less noticeable on PC, the game still feels pretty fast and fluid to me even when playing in Crucible. One thing that constantly stands out to me whilst playing Destiny 2 is how it can go from these large open areas where you’re free to roam around to then creeping around in tight corridors and tunnels, it might not sound like much, but I really love that little touch of the game being able to completely switch the world up in almost an instant. 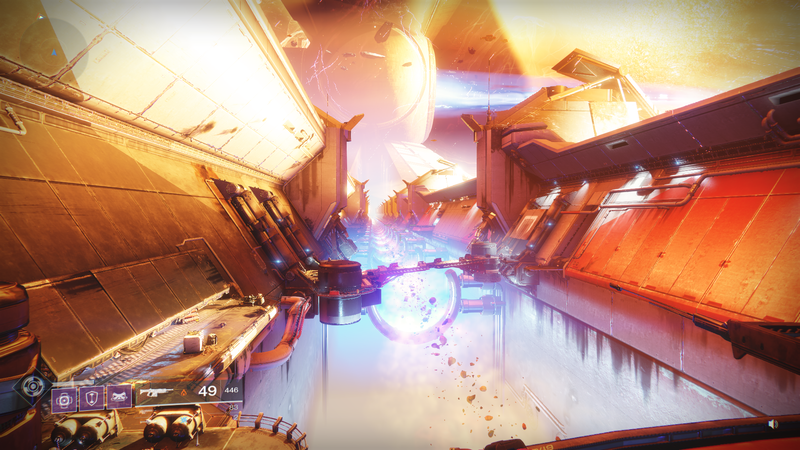 Visually Destiny 2 looks great and some times you can’t help but stop and take in the amazing looking surroundings, incredible lighting and fantastic atmosphere, plus the sound track is top notch too! For me it all bundles up in to a great gameplay experience. Is Destiny 2 the best game of the year? No probably not, but that doesn’t mean that I haven’t loved playing it and it’s for that reason that I picked it. My next choice is a little odd only for the fact that I haven’t actually completed the game. Ori and the Blind Forest is probably one of my favourite games of all time, and as soon as I discovered Hollow Knight I wanted to play it as it reminded me of Ori in a lot of ways. To me, everything about this game is fantastic, it’s dripping in atmosphere, it has a stunning visual style and haunting score to accompany it. It’s challenging and in some cases, for me, very challenging, but it feels so rewarding when you defeat a boss. When you do die – because you will, it doesn’t feel cheap, you know why you died, and you know what you did wrong and how you can improve or change that the next time. The lure of progression urges you forward; the sense of discovery compels you to delve further in to the wonderful world beneath Dirtmouth. Each area feels different and acts differently. 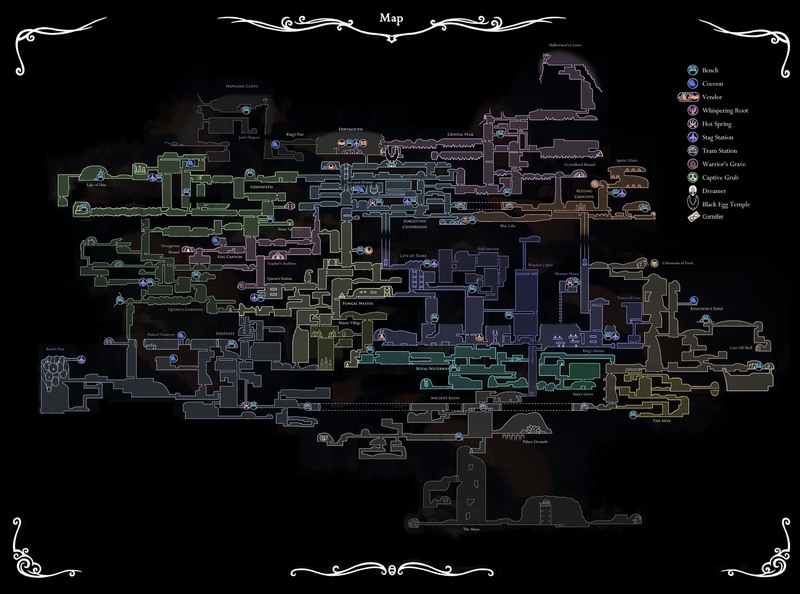 The world is packed full of mystery and danger with over 100 enemy types to fight and 30 odd bosses to challenge you. There are multiple upgrades you can acquire along the way to keep things interesting and fresh. The characters you meet along your journey are memorable and interesting; I can still hear the tune that Cornifer hums as you approach him, boss battles all play out differently and the game has been supported since launch with free content updates. For a little over £10 you’re getting a game that will easily offer you 20 hours of fantastic gameplay and if you’re a completionist you will be nearing the 40 hour mark for to do everything. It doesn’t hold your hand and you will get lost, you will get battered around, but when you achieve something it just feels so much more rewarding and I love that about the game. Hollow Knight lost out on an award at the Game Awards and personally I think it should’ve won, but Cuphead was also very worthy. However, if Hollow Knight doesn’t win an award in some other form i.e. PC Gamer, the it will be a travesty. 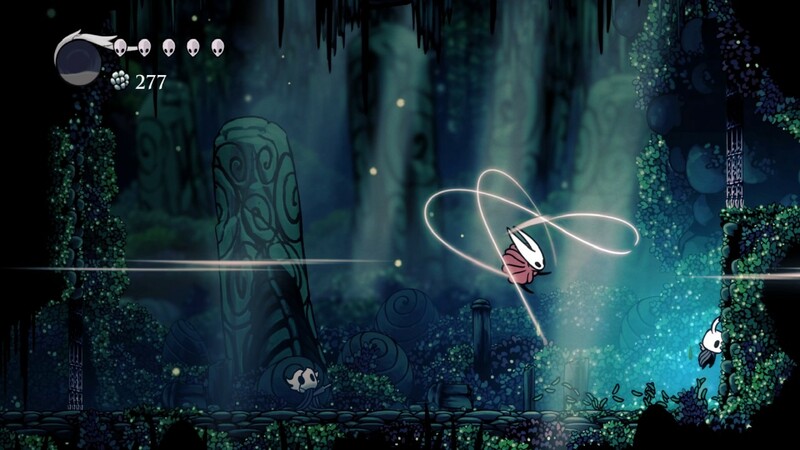 Hollow Knight is quite simply a stunning experience. I’m also going to give a little nod to PUBG, pretty much the only reason it isn’t one of my games of the year is because the full game isn’t out yet. As for the best games that I’ve played this year, but didn’t release in 2017, the first one has to be. 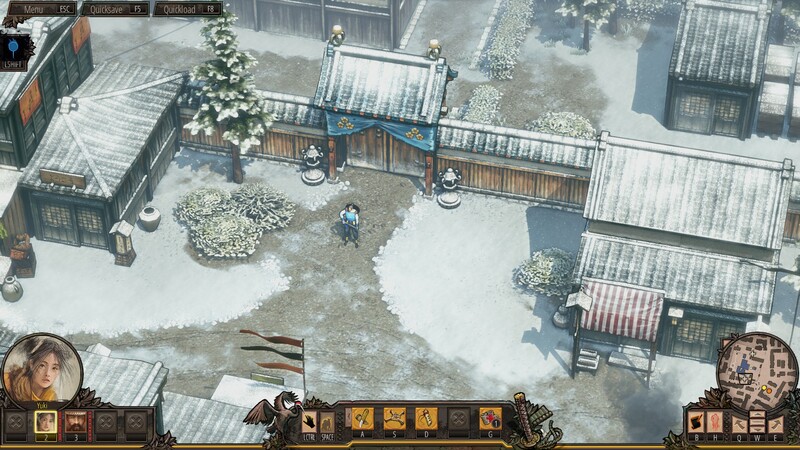 I’ve previously talked about Shadow Tactics and how I used to be a huge lover of these types of strategy games. I picked it up when it went on sale a couple of months back and have loved every minute of playing it. The game offers up a huge amount of variation in the settings for each level, the characters available to you in these levels and the way in which you approach them and complete objectives. No two levels have felt the same to me and have all offered their own challenges. There are various difficulties that you can play on and challenges to complete on each level giving you a nice amount of replayability, but even without replaying the game I’ve clocked up over 15 hours on it. Sure you can complete some of the levels a lot quicker as you start to understand them and there is even speed run challenges, but for me I like to take my time with it and every level was taking me over an hour to complete. I know I bought this when it launched, and I’ve played it a lot before this year, but I’ve also been spending a lot of time playing it this year, every event that they put on, I’m there, playing it and really enjoying it. I’ve clocked up around 230 hours in Overwatch now, which compared to a lot of people is probably nothing, but for me that’s quite a lot, I don’t have a lot of game that I’ve played for that amount of time. So for a game to keep me interested for that long, it must be pretty decent. 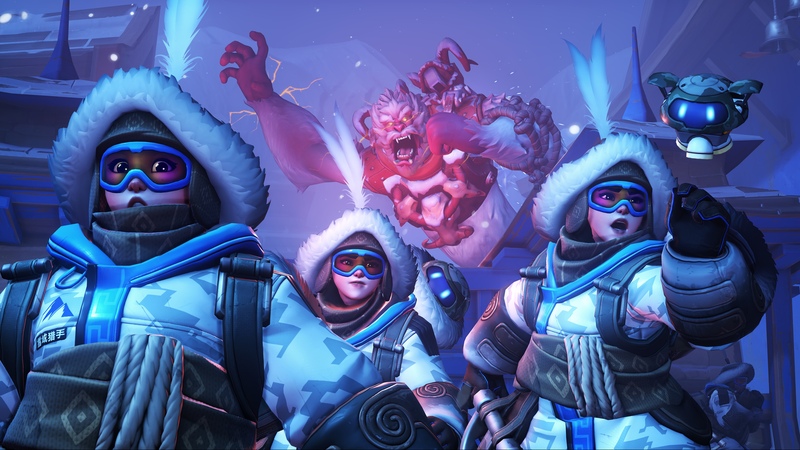 Every couple of months we get something new in the game whether it be heroes, maps, or events. The support for the game is always top notch. I’ve actually stopped playing competitive though, I got a bit fed up of bouncing around the same level for so long and I just got a bit annoyed of having so many matches where people would just not be helpful or play as a team. Since I’ve stopped it’s been so much more fun just playing casually and I actually play a lot of mystery heroes now, where you just randomly spawn as someone new each life. It creates some crazy games that can be completely unbalanced, but it’s a good way to get to play with heroes you don’t normally use. Going in to 2018 I can still see myself playing Overwatch and will probably continue to play it all year. I feel some what naughty picking this game as my game of the year, as I’ve yet to actually complete it. That’s not to say I haven’t put time into the game though. My last check was some 76 hours, and I’ve still only completed 3 of the 4 divine beast dungeons. So why have I picked Zelda as GoTY when I’m yet to see the end cutscenes. Well simply put the 76 hours so far have been some of the most refreshing, innovative, addicting and down right fun hours I’ve ever played in a video game. I love the Legend of Zelda series on the best of days, with my favourite in the franchise being The Wind Waker which is slightly controversial i’ll agree. But Breath of the Wild completely changed the Legend of Zelda formula. Gone are the weapons that never break, now you’ll be nursing weapons and saving them for when they are truly needed. A now a new basic craft mechanic is added in which you’ll constantly be upgrading armour and wanting to pick up every item a foe you’ve vanquished will drop. You can buy and own a freaking house. You can own multiple horses, you can cook. So many new additions to the series. And that’s without scratching the real elephant in the room when it comes to this game, the sheer size of the world and ability to explore every single part of it. I remember the first time coming out of the Shrine of resurrection and the cutscene that played showcasing the whole world. Such a stunning moment in the game, and then the first thing I did was climb a tree. Yep, climbed a tree and found myself blown away that I could even do this, then the scaling of mountains and rock faces. It was all so new and so incredible. The initial exploration time of the introductory area The Great Plateau was so fun, then once you exit this area and see the real world, the fun truly began. Meeting new and old races, seeing familiar faces, the changing weather environments across areas of the world from the tropical rain forests to the snowy mountains to the desert. Having to have armour to adapt to these changing environments, harvesting ingredients. Absolutely everything about this game was amazing. As I type this the urge to dive back and play it again is overwhelming. Aside from the scale and ambition of this game, you can’t overlook how visually stunning the game is. The different weather conditions mentioned above each looking strikingly beautiful as you explore them. The lighting effects during a storm on the beach is incredible. I could go on and on about why this game deserves a Game of the Year nod, but you’ll no doubt have seen we’re not the only ones who feel this way as the game currently continues to sweep up GoTY awards across multiple sites and media outlets. All thoroughly deserved too I might add. 2017 for gaming seemed to follow the famous saying “You wait for one bus, then two arrive”… or something to that affect. This is most certainly true in the case of game of the year contenders. Horizon actually launched before Zelda Breath of the Wild, but I actually picked it up some months later in May. While Breath of the Wild will no doubt sweep up all the big game of the year awards, Horizon rightfully so has found it self nominated in the category. 7 Years of development and to be honest, alot of nervousness surrounded the game. Guerrilla games have a bit of a love hate relationship in the eyes of PlayStation owners. Killzone franchise is for the most part praised, but then the likes of Shadow Fall release which make you worry about potential new IP or projects that they’ll working on. Thankfully the debut trailer at E3 put an end to some of the nerves as the game looked like a technical marvel. Horizon Zero Dawn finds it’s self as my 2nd game of the year due to the ambition and scale of the game that Guerrilla games have put out. The world that they created is humongous and stunning. I don’t think there are many other games that you could use to showcase the technical and graphical capability of a console. The open world is busy and full of dangerous and wondrous mechanical beasts that each have their own perks and traits you need to study for the best shot at taking them down to salvage their parts. Some are passive, some are incredibly aggressive. It’s all part of the fun of this game. The story itself was again perhaps something people started to worry about thinking that this game might well be all show with no soul (Killzone Shadow Fall was a technical master piece, but very forgettable in terms of story). This again proved to not be the case as the story is actually really engaging as you learn as to why you are in this post apocalyptic world, and what the variety of mechanical beasts are put on the earth to do. The more you learn about Zero Day the more incredible the lore becomes as the real reason to specific mechanical beasts creation becomes clear. Aloy herself has also gone on to become one of my favourite gaming protagonists, based on the interactions and her witty conversations you can have with the people throughout the world. The final worry people had about the game was the comparrisons to Far Cry. Huge open world and climbing towers or liberating bases. And in honesty I can see why the comparisons are made as there are bandit camps to clear, and there are some form of towers to climb to use as viewpoints, but I don’t know, something about doing this in Horizon didn’t feel like Far Cry. Perhaps the scale of the world, the ability to get lost on route to a ‘tower’ due to side quests popping up from people you meet. All in all Horizon: Zero Dawn is an absolute essential to every PlayStation owner. One of the greatest graphical performances the 4 year old PS4 has put out and one of the most engaging and lively open worlds with plenty of mysteries to come across along the way. Simply put, it’s a stunning game. This section is for my favourite games I’ve played in 2017, that haven’t necessarily released this year, but I got to experience them for the first time. Oh My Goodness. I can get addicted to games quite easily, but this was something else altogether. I’d initially been slightly worried about getting this game, as I’d read it’s got quite a tough learning curve to start with. And that ideally, certain things should be done in a certain order to make life easier later on. What a load of baloney. I have no idea why I was concerned, the game is just absolute bliss and happiness. The incredibly upbeat and catchy sound track that changes throughout the seasons, the magical town events during different seasons like the end of summer event or the farm display to show off your best crops. It’s all so wonderful. And addictive, so so addictive. Looking after the animals each morning making sure they’re fed and either milked, sheered or eggs collected dependant on the animal. Maintaining your crops, collecting harvest from trees. Then onto your free time, which technically isn’t free as there’s always something you need to do like get to level 95 of the mine for a specific ore to build better farm equipment, or go fishing as you know a specific type of fish is about the waters at this time of year that you can sell for a substantial amount of money. As said I found myself putting hours into Zelda, Horizon and as of late Call of Duty, but they are rookie numbers compared to Stardew Valley. It was a point where at work all I could think of was being at home playing the game, and had a note book that I scribbled notes into with regards to Stardew Valley with things like the best things to grow in certain seasons for money, what preserves are best to make and sell daily, what I should grow in the greenhouse all year round. It was genuinely scary how much I put into that game. I managed to drag myself away, and haven’t gone back since sadly, But it remains installed on my PS4 should I ever want to dip back in and do some farming. I was very late to the party with this masterpiece, but January 2017, Firewatch was the first game I played and completed in 2017. It is a short game, in fact it was completed in one long sitting, but my goodness it was one heck of an experience. Initially I had no idea how terrifying the game was. 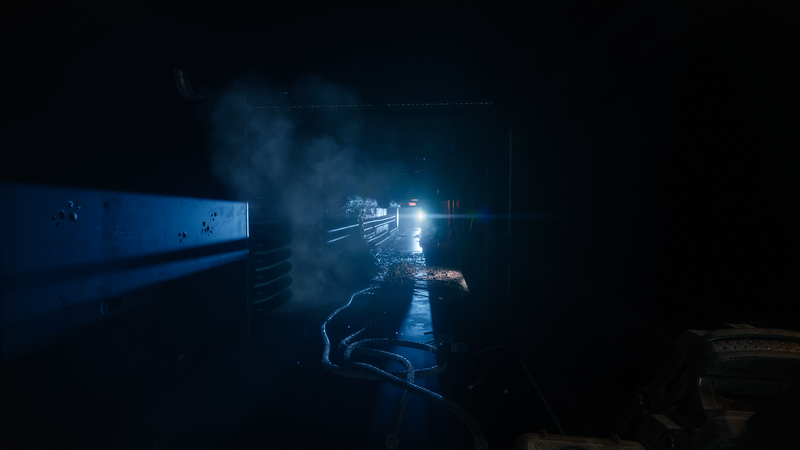 While it’s not Silent Hill or Resident Evil scary, the loneliness of the game and the events that are taking place in the park create a more psychological fear than jump scare fear. The opening moments throw you on an incredible roller-coaster of emotions as you come to find out why you’re playing as this person who is working as a ranger in this park. To steal and re-use what I initially wrote for the game in January 2017, I was completely blown away by how captivating the game was. Once I had started it and gone on a proper exploration I was addicted to it. Visually it’s stunning and the park offers some great views and visuals. Now as the game progressed this is where I finally started to find out what the game was about. Being terrified. Coming back from day one and finding someone had been into my tower was unsettling. As the days progressed and more clues are unraveled that you and Delilah are not alone within the park it gets more and more intense. Each trip out to find out what’s going on resulted in sweatier and sweatier palms. The expectation as the game ticked along that I’d eventually climb over a rock or turn around to see someone never went away. The smart thing about Firewatch is that aside from the girls in the lake and the shadowy figure all on day one, you don’t encounter another human being again throughout the entire game. The final scenes when you escape the park, make it to the chopper and see another person on the chopper reach out to help you was genuinely one of the biggest sense of relief moments I’ve experienced in a game in a long time. A great year to get to play some titles that are renowned as Indie Classics. E3 2017: Nintendo – What to Expect?